Let’s face it – flying with kids isn’t exactly a fun, relaxing experience. In fact, it can be downright terrifying being stuck on a flight for hours with an energetic, impatient child! However, the good news is there are ways to make flying with children a more chilled out and enjoyable experience. There are lots of tricks and tips you can use to keep your little one entertained no matter how long the flight may be. 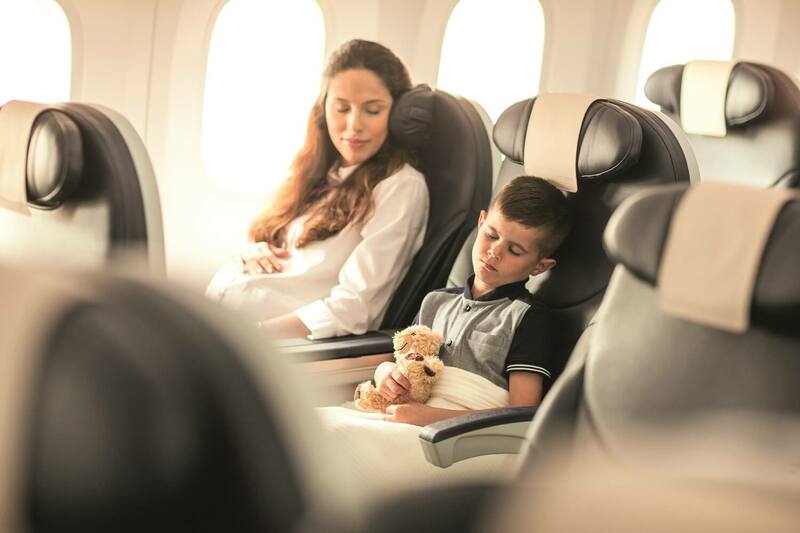 So, to help make your next family getaway a less stressful experience, below you’ll discover 5 fun in-flight entertainment tips. Nothing distracts a child more than a new toy. So, if you’ve got a long flight ahead of you, what better way to keep them entertained than by surprising them with a new toy to play with? You’ll want to make sure you pack some of their existing toys that you know they love to play with too. However, when they get bored of those, you can introduce the new toy to keep them occupied that little bit longer. It’s even worth investing in a couple of new toys if you have a longer flight. That way, you can introduce a new toy each hour. This tip alone can help to keep your little one entertained throughout the entire flight. Don’t forget, you can also take advantage of technology too, such as a portable DVD player or you can download films to a device they can watch. One of the great things about children is that they are often content with the simple things in life. As they don’t get to fly on a plane very often, you’ll typically find they are really interested in everything that’s going on around them. One thing they will especially love to do is watch out of the window. Looking out at the world below provides a unique perspective your child doesn’t often get to experience. You could even take a world map with you and help your child identify where you are. You might just be surprised how exciting this is for your children! If you’re looking for entertainment that’s going to keep them occupied for some time, anything creative is a good idea. So, you could take colouring in books and pencils, plain paper that they can draw with, or you can help them create child-friendly crafts. Kids love getting creative and it really keeps them occupied for long periods of time. You could even partake in family paper-based games such as hangman, and noughts and crosses. Taking a flight with your child gives you a great opportunity to bond. When you want them to settle down, reading a book together is a great idea. You can get them to pick some of their favourite books before you leave. Or, you could surprise them with a couple of new books for the journey. You can stretch out this activity by reading the book to your child, then getting them to practice reading it back to you. This will obviously depend upon how old your child is and how well they can read. One tip to remember here is to only give them one book at a time. This ensures their focus is kept on just one book, moving on to another when they’ve finished. Did you know it’s easy to work with what you’ve got in the cabin to keep your children entertained? Take a look in the air seat pocket in front of you and use your imagination to create your own entertainment. A great example is to use the in-flight magazine and get your child to find pictures which feature trees, or the beach. You could also get them to look for pictures which represent different letters of the alphabet. Working with what you’ve got can be surprisingly effective and also saves you money if you don’t have a huge budget to invest in in-flight entertainment. As you can see, there are lots of great ways to keep your children entertained throughout the flight. Remember, children pick up on their parent’s stress. So, if you want to really reduce the stress which comes from flying with children, it’s important to go into it feeling relaxed and prepared.